Decayed or damaged teeth can cause debilitating pain and may leave you on the couch while everyone heads out to enjoy the weekend. This is not how you want to live your life. Thankfully Emergency Dentists USA has a free referral service where we can find you a local dentist in minutes with just one phone call! Also, we have done our research in this area and have listed below New Orleans emergency dentists who are ready to provide you with immediate care. Thank you for finding a local dentist for my home when I couldn’t find one myself! Such a great service, would recommend to all of my friends/family. Unfortunately, many dentists are only open Monday through Friday from 9:00 am until 5:00 pm and on top of that, they have a waiting list of weeks to be seen. Dental pain will not stop because you want it to and the condition needs to be treated. There is a solution for you in the New Orleans area. You will find that there are 24-hour dental offices, walk-in clinics, and after-hour facilities prepared to meet your needs and treat your dental pain. Tooth pain is not something that you want to deal with and you should seek out immediate dental care to alleviate the discomfort. We have made the process easy for you and you will be able to locate an emergency dentist in New Orleans at a glance below. Simply choose the dentist nearest you and give them a call to schedule immediate dental care. Description Call to be connected with the perfect dentist for you. New Orleans is a large city and we have the connections to find a dentist to fit your needs, and can get you an appointment immediately. Since some people prefer to research their dentists, we have taken some of the emergency dentists and put them in the list below. 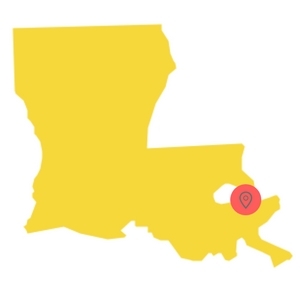 Easily find Louisiana emergency dentists with our service. Description: This New Orleans emergency dentist office is able to handle emergency walk-ins and appointments on Saturdays. 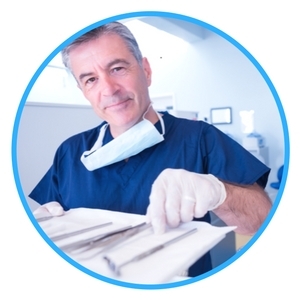 This team of doctors use the latest technologies and provides a plethora of dental services. One of their claims to fame is that they are the preferred dental office for the New Orleans Saints! Description: The Westside Dental Group consists of four well-trained and experienced dentists. If you are facing a critical dental need their office is focused on providing affordable, high-quality treatment that fits your budget! A number of different payment options are offered including cash, checks, credit card, and low and no interest financing to Louisiana residents. As you would expect, the high caliber staff offers a wide range of dental services. Description: Dr. Burmaster heads the staff here, a Loyola University graduate who earned her doctorate from the Louisiana State Unversity School of Dentistry. Striving quickly to service everyone who walks in with an emergency as soon as possible, new patients will feel relieved here when they realize they will not be treated as just a number, and every measure will be taken to assure their comfort. Description: Located just minutes from downtown New Orleans, this Dental Center is equipped to help with urgent issues such as root canal therapy, extraction, and examing teeth that are experiencing severe pain. Putting emergencies off may lead to a serious and drastic infection, and this clinic strives to provide same-day service, also allowing you to apply for CareCredit right on your smartphone. The office just holds standard weekday hours, but will contact a physician on duty in the event of a severe dental emergency, which should never be taken lightly. Before you head into the local emergency dental office, you should inquire about the cost of the appointment or procedure and also what payment methods are accepted. If you have dental insurance, you should let the office staff know, so that they can properly bill your provider. You should arrive at least 15 minutes prior to the scheduled time to allow yourself enough time to complete the paperwork. If you have been to the office before, you will need to update any information on file to ensure it is current and accurate. If you have any allergies to dental products, latex, or medications, it is important to let the dentist know before any procedure begins. This way, he or she can properly plan for your aftercare. In addition, if you suffer from dental anxiety, you may want to inquire about what sedation options are available. There are a handful of conditions that can develop quickly and they require urgent care to prevent the spread of infection or other problems. Some dental issues may start to show signs quickly, but they take time to develop. Below we discuss some of these dental emergencies and some at home remedies you can try until you are able to get into an emergency dentist. 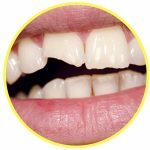 A chipped or broken tooth can occur at any time and is usually caused from biting down on a hard object or trauma to the mouth. If you do happen to chip or break your tooth, you need to rinse your mouth out with warm water to get rid of any smaller pieces. You should try to save the larger pieces and apply gauze to any area that may be bleeding. You should then apply a cold compress to the exterior where the chip or break occurred to help reduce swelling and discomfort. Tooth trauma caused by an accident can be severe in nature and range from a chipped tooth to a knocked-out tooth. It is important for you to recover any and all pieces of your tooth and save them for your dental appointment. You can stop any bleeding by placing a piece a gauze in your mouth and applying pressure. To alleviate pain or discomfort, apply a cold compress to the exterior of your mouth and take an over-the-counter pain medication. A loose or lost crown can happen over time due to food or an object getting caught on the crown itself. If your crown is loose, do not wiggle it. If the crown has fallen off, you should keep it on hand. If the area is painful, you can place a little bit of clove oil onto the tooth. If you do have the crown, try to place it back over the tooth, but do not force it. Prior to placing the crown back on, you should coat the inside with a dental cement. Not all tooth-related conditions will require the tooth to be extracted. If your emergency dentist does recommend a tooth extraction, you should have it performed. Delayed care can lead to complications that spread to the other teeth and even the gums. Should you have a tooth extraction performed, you can expect the healing process to take one to two days and some patients do not even experience any discomfort. 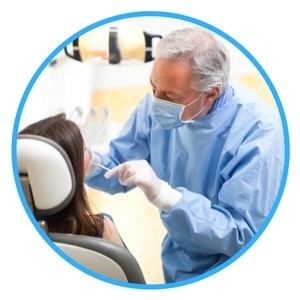 Your emergency dentist in New Orleans will provide you with aftercare instructions that should always be followed. 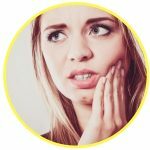 Many patients head to the emergency room when they have tooth pain, but this is not usually the best choice. If you do happen to go to the ER with a tooth problem, the doctors in the ER will look over your mouth and they may prescribe you a pain reliever to help alleviate the discomfort you feel until you can go to your dentist’s office. Instead of the ER, you would better be served in a New Orleans emergency dental office. These offices operate around the clock and can perform all dental procedures to alleviate your pain. Emergency dentists are trained to handle serious dental issues. There are times when it does make sense for you to visit your local emergency room, even when your teeth are involved. Some of those times include when you have sustained head trauma or a head injury, you have a broken jaw, or you have been involved in an accident or fall. If you think that you may have a dental emergency, but you are unable to locate an emergency dentist near you, call our 100% free service and let our staff help you find a local dentist to fit your needs. Emergency Dentists USA has you covered whenever you experience a dental emergency, day or night! We recommend that you always verify the credentials and licenses of any new dentists you plan to visit. You should always check the Louisiana State Board of Dentistry and perform a License Verification Search.